I think that there are many innovations in the world of modern technology that are great and very useful and the barcode is definitely one of them. The ZXing barcode scanner for Android is one of the best that are out there right now and it allows you to get all the information contained inside of a barcode that you find in all kinds of products now. The best thing is that this can be used in stores and you can scan the barcodes that products have on display in order to get all of the information about the product. This is a very easy to install and use application and I have to say I find myself scanning all kinds of codes even for things I don’t have any interest in buying. It’s just fun for me to discover special info on products and this has even helped me purchase certain things that I didn’t even find to be that useful. I hardly ever give reviews for apps but this one deserved my 5 starts. 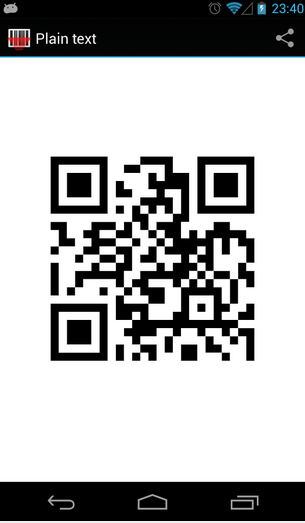 It works perfectly with my Galaxy Note 4 and I have even implemented barcodes in my own business because I find this to be an innovative and useful method to share information. All you need to do is point the phone camera at the barcode and all the info will be downloaded to the phone. This can include emails, websites, blogs, social media, coupons, discounts, etc. Get the app today for free on the Google Play App Store. It will really help you save time when shopping.